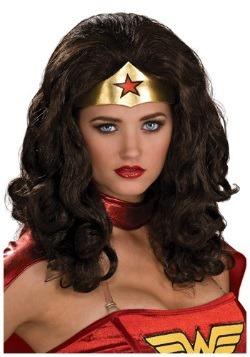 You’re not the type of woman to just sit by and watch as some kind of villain ruins your planet, are you? That’s right! 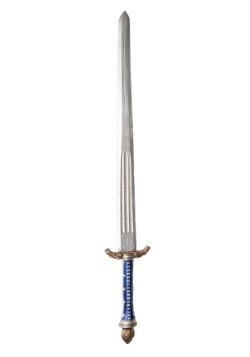 You’re the type of woman who grabs her sword and heads straight into danger. 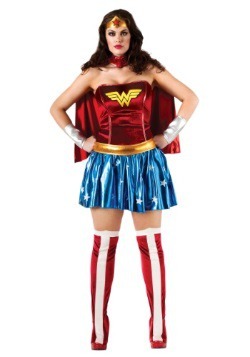 You’re the type of woman who’d sock Superman right in his face if he starts acting like a big jerk. 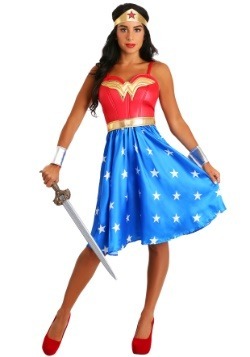 Really, the only thing you’re missing to be Wonder Woman is some Amazon-style combat training and a really rad outfit. 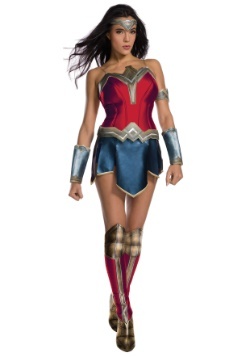 Well, we have no idea how to get to Themyscira, so you might have to figure out how to train with the Amazons, but we can help you get the perfect costume to become Wonder Woman. 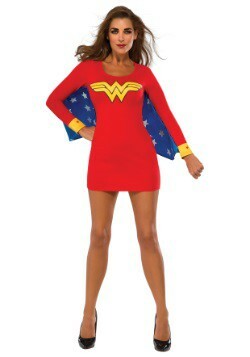 This adult DC Wonder Woman costume helps you look like the superhero that you know yourself to be! 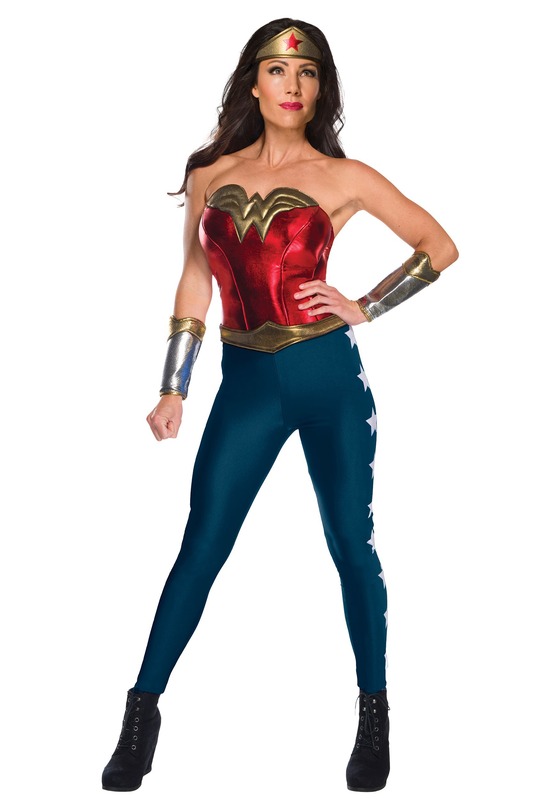 It does a great job of transforming you into the founding member of the Justice League, since it comes with a bustier, a pair of leggings, a belt, a tiara and a pair of gauntlets. 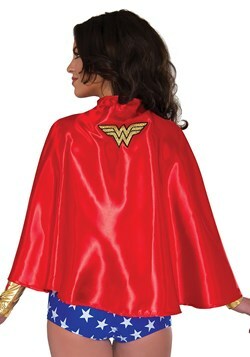 The bustier stretches to fit in back and features shining red and gold fabric in the front. The leggings also stretch fit and have an elastic waistband and printed stars along the side. 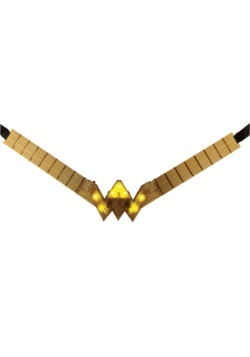 The belt, gauntlets and tiara are made of a matching foam material with a gold fabric exterior. Put them all on and you’ll be ready to head into battle against the fiercest of foes! Ares, Doomsday and even Steppenwolf won’t be able to handle your new heroic style. Just make sure to bring along a sword and shield to get you through the battle!